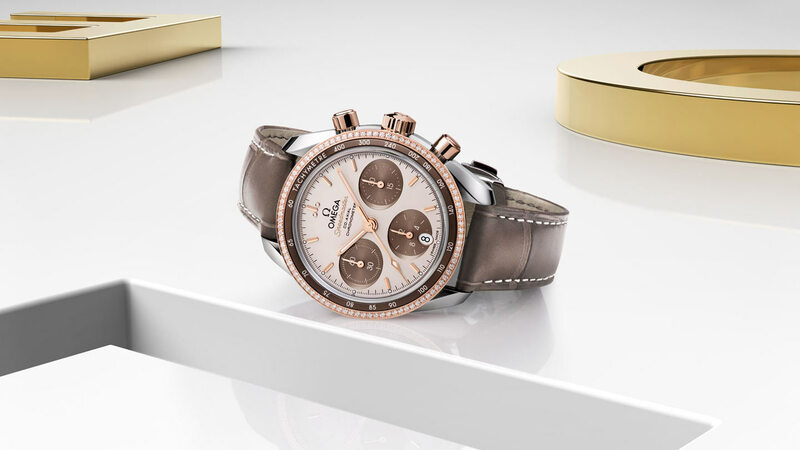 The Speedmaster 38 mm collection has been crafted with simplicity, size and colour in mind, yet still retains the look and heritage of OMEGA’s most famous chronograph. 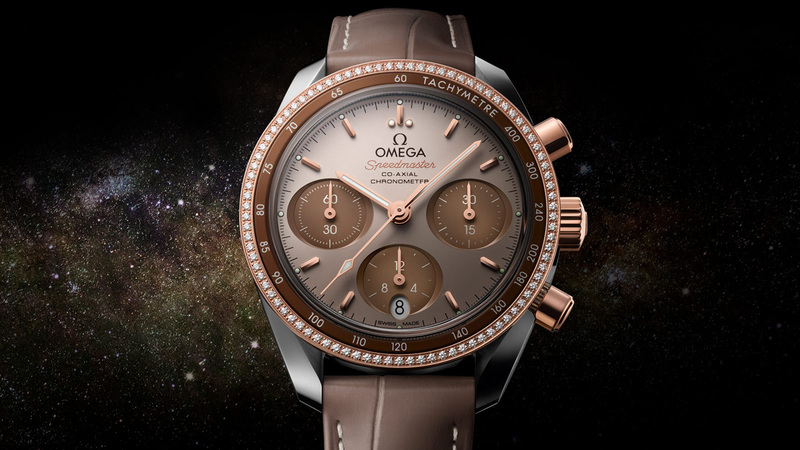 This model features a stainless steel and 18K Sedna™ gold case with a dual bezel design. 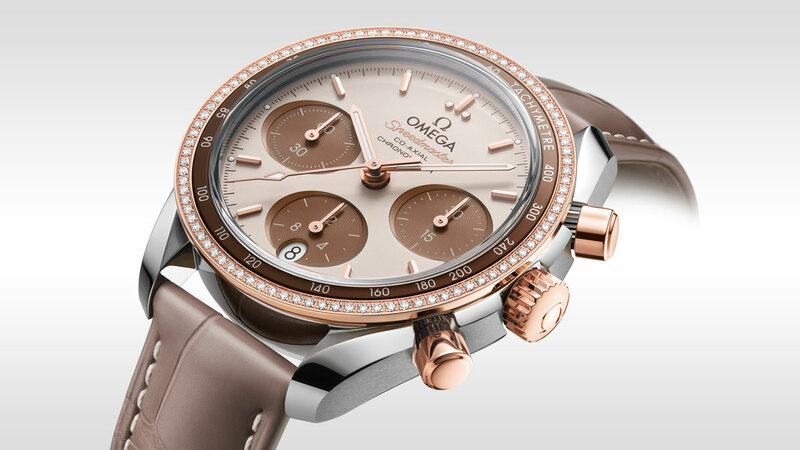 The inner section of the bezel features a tachymeter scale on a brown aluminium ring while the outside is diamond-paved. 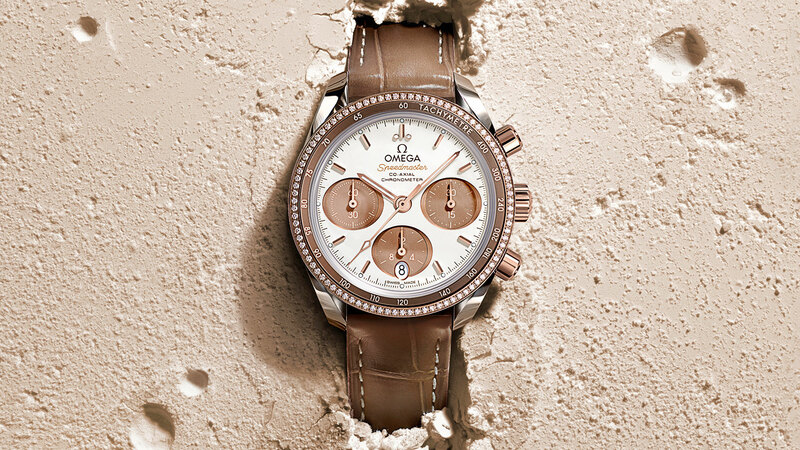 The “cappuccino” dial includes horizontal brown oval subdials and a vertical oval date window at 6 o’clock. The indexes and hands are made of 18K Sedna™ gold with white Super-LumiNova on the the hour, minute and chronograph seconds hands. 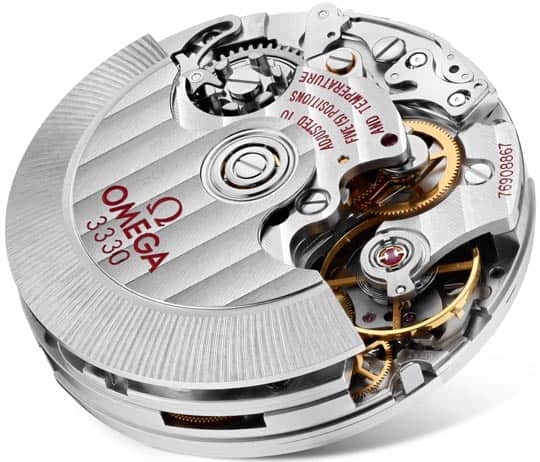 The watch has a taupe-brown leather strap, a Seahorse medallion on the caseback, and is driven by the OMEGA Co-Axial Calibre 3330.